Murtala Mohammed International Airport Ikeja is the major airport serving the entire state of Lagos and the busiest Airport in Nigeria. The airport is usually flocked with both locals and foreigners coming into the country or traveling out of the country for both business and leisure purposes. The city of Lagos is fast becoming a treasure trove for foreign expatriates likewise tourists who are regularly admitted into the country. Thereby, increasing the number and quality of accommodation that has to be provided within the state and especially around the airport. There has been a recent upsurge in the number of hotels around Lagos airport ready to provide world class service and standard, as various investors and stakeholders in the hospitality industry have seen the need to provide the best accommodation and living experience in Lagos at highly competitive rates. 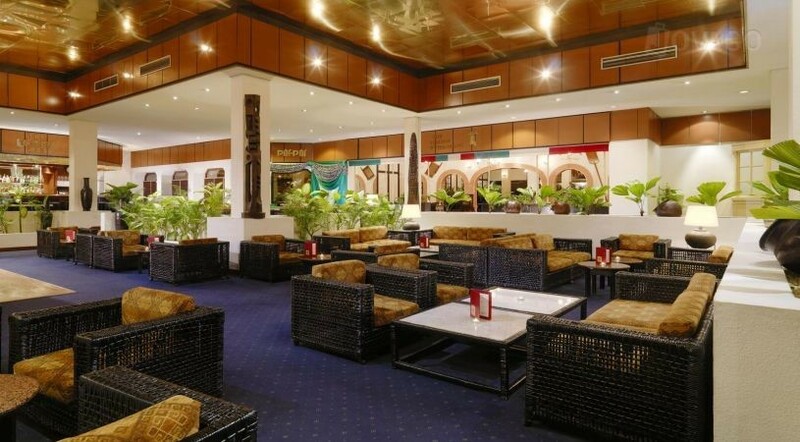 The prestigious Sheraton Hotel Ikeja is one of the best hotels around Lagos Airport. The hotel lies in close proximity to the local and international airports. With over 325 guest rooms and 7 suites luxuriously furnished suites to offer, the hotel facilities has been tailored to provide superior comfort. Guests can enjoy Buffet styled meals, Italian dishes, home-made pizzas and wines at the La Giara Italian restaurant located at the hotel. The Oasis Pool Terrace Bar is also available for guests to relax and enjoy refreshing drinks. Sheraton Hotel Ikeja can be easily accessed from the Lagos State University Teaching Hospital, Ikeja City Mall and Computer Village. 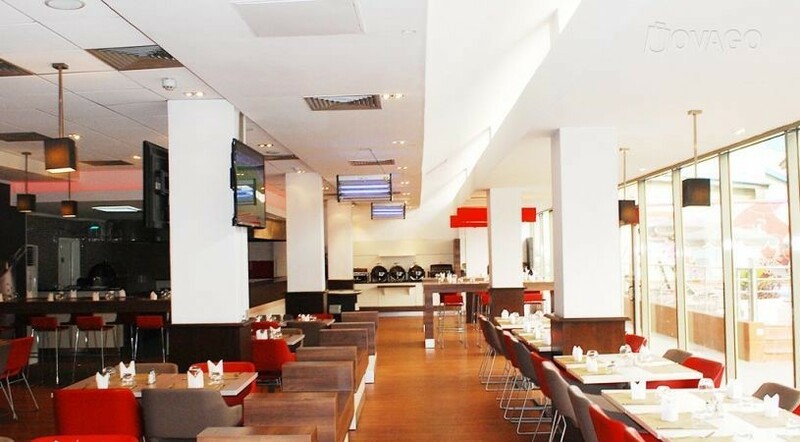 Ibis Hotel Ikeja is one of the hotels near Lagos airport, it lies at about 3 km from Ikeja City Mall. The hotel boasts of a conference hall, a business centre and an onsite ATM. The rooms at the hotel are fully air-conditioned, well equipped and feature full length windows. A restaurant is available at the hotel for guests to enjoy both continental and local meals, outdoor dining option is also available. A gym and an outdoor pool are available for leisure purposes. The hotel can also provide free airport pick up, car-hire and concierge services. 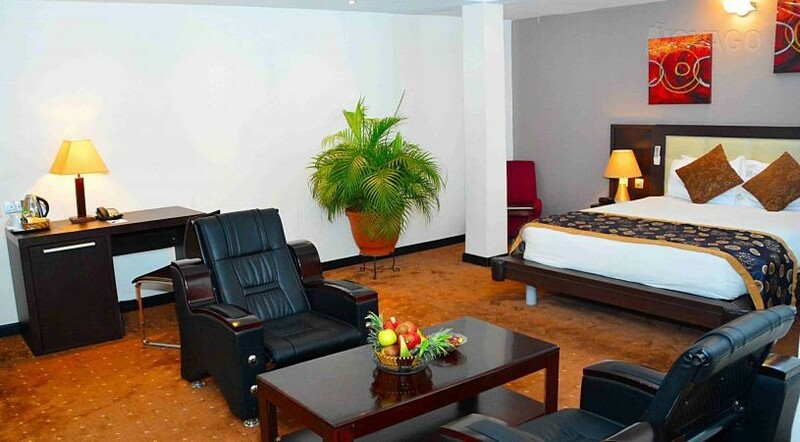 Best Western Plus Hotel lies in the heart of Lagos’ business district, Ikeja. The hotel is just about 4 km from the Murtala Mohammed International Airport and very close to Ikeja City Mall. Free WiFi service is provided for all guests, complimentary breakfast is served and the hotel rooms boast of comfort facilities and ornate lamp shades and reading tables. The hotel offers a daily complimentary breakfast service. A fitness centre and outdoor pool is also open to all guests. Conferencing facilities are available on site while laundry and luggage storage service can be arranged. The hotel features an event facility. Airport pickup, car hire, concierge and laundry services can be arranged. On-site parking is available and security personnel guard the hotel premises. 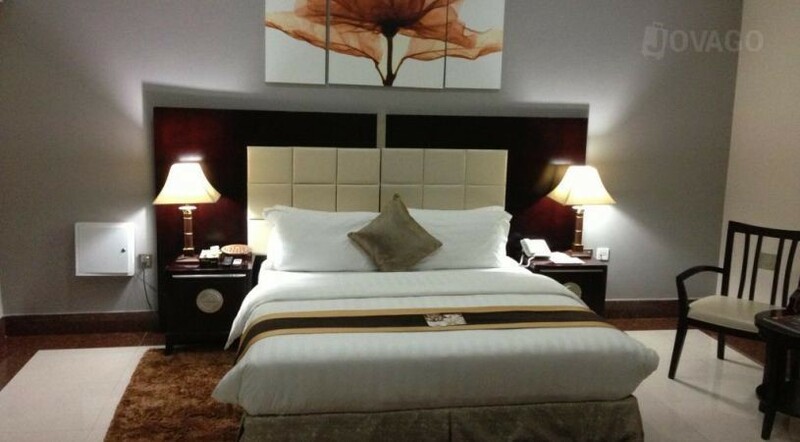 GrandBee Suites is a luxury four-star hotel located just about 15 minutes’ drive from Lagos Airport. The hotel boasts of state-of-the-art facilities, an onsite restaurant and a fitness centre. Free WiFi is available for guest’s use, an onsite restaurant where guests can enjoy local and continental menu or buffet options. 24 hr room service is available, airport pickup, car hire and laundry services can be arranged at the hotel on request. Genesis Sojourner is one of the hotels in Ikeja close to the airport. The hotel is also about 3-minutes’ drive from Lagos State University Teaching Hospital. Meeting and banqueting facilities are available at the hotel to host social and corporate events. The hotel features a business centre and provides free internet access to cater to the needs of business guests. Airport pickup and car hire services are available on request. 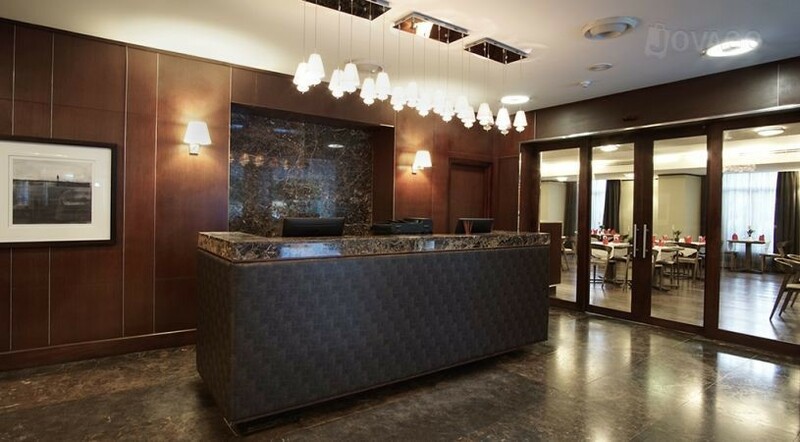 The hotel offers parking, laundry/dry cleaning, safety deposit boxes and concierge services.